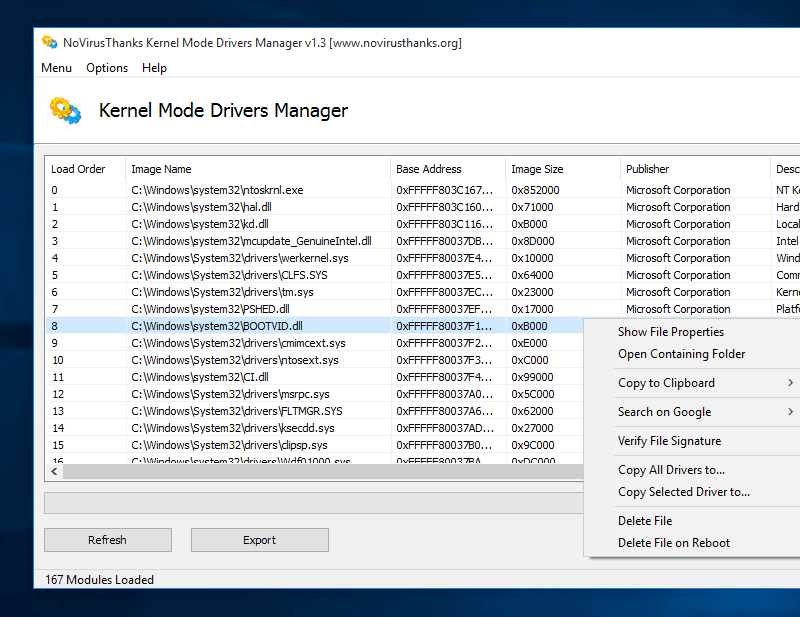 Kernel Mode Drivers Manager is a useful utility which lists all loaded kernel mode drivers running within the system and offers information such as driver load order, driver name, load address, module size, file publisher, file description etc. A one-click save log can also be created making system snapshots simple. This tool lists all the loaded Windows drivers and shows you many useful information about each loaded driver. View the driver load order, useful to know when a specific kernel-mode driver is loaded in the system and in which order. You can also safely delete a driver on the next reboot. List all Windows drivers loaded in the system with useful driver-related details. 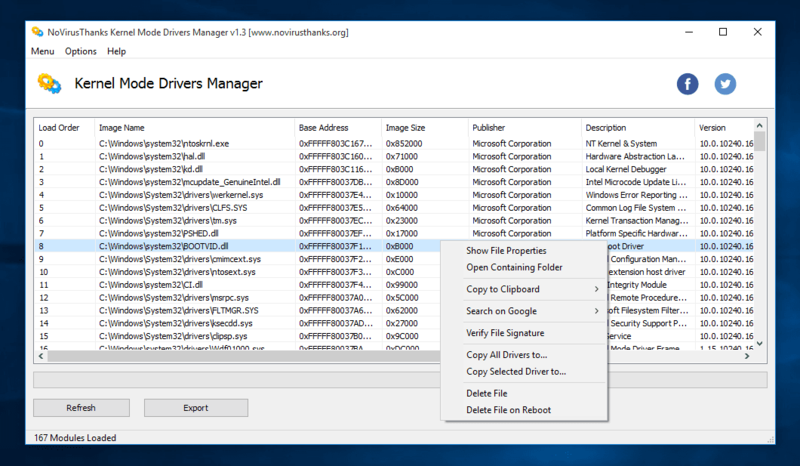 View the correct Windows driver load order for each loaded driver. You can easily export the list of all loaded Windows drivers on a file.